The island of Krk belongs to the Kvarner group of islands located in the northern Adriatic between the Istrian peninsula to the west and the northern Croatian coast to the east. 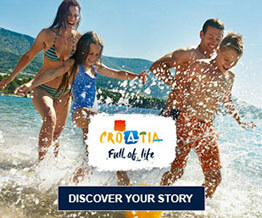 It is the most settled and one of the two largest Croatian islands. Our accommodation units – hotel Malin, apartments and villas are located in Malinska on the western part of the island of Krk. The Tiha Šilo Campsite is located in the Tiho Bay, after which it was named and is just 500 m away from Šilo. Šilo is a tourist place located in the north-eastern part of the island of Krk. Good traffic connections offer our guests an easy and quick arrival regardless of whether their means of transport is a car, public transport or an airplane. If you are arriving by car from Italy, after the Kozina border crossing, take the road to Rijeka, then to Kraljevica and on to the island of Krk. From Slovenia, more precisely, from Ljubljana, drive through Postojna, and after you cross the Rupa border continue to Rijeka, then Kraljevica and the island of Krk. From the direction of Hungary, drive to Zagreb, from where you proceed by taking the A1 highway to Rijeka, then the fast A7 road leads you directly to the Krk Bridge, which connects the island with the mainland. Closeness to facilities such as banks, ambulances, pharmacies, exchange offices, tourist offices, shops, bars and restaurants will make your stay comfortable and carefree. There is the possibility of paying by credit card almost everywhere. We wish you a safe and pleasant journey to your destination.